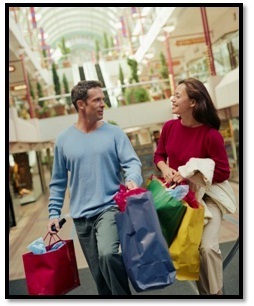 IDO's Retail Management Software provides Retailers a dynamic web based solution for their online store requirements. Retailers can use IDO's Retail Management Software as is or request applications and features to be added to the core application. IDO designed the Retail Management System to give a retailer the option of using it right out of the box or to have it customized to meet their individual requirements. There are five major sections of the Administration side of the Retail Management System. Users, Products, Articles, Forums and Newsletters. User Roles, Page Information, Create Unlimited Pages, Create Simple Simon Drop Down menus and more. Import Products | Unlimited Products | Skus | Discounts | Ratings | Options | HTML Editor |Souce Editor | Small & Large Images | Enlarged Images | Share Widget | SEO Marketing Per Product | Shipping Methods | Order History | Order Tracking | Featured Product | Slide Shows | Interactive Web Part shows Product Feed. Every Web System is designed with a Free Marketing Engine. In a nutshell, it feeds the Content you put into your web system to the Search Engines. Google, Bing, Yahoo and even Safari. Our Demo's are available for review via an visit to our store, your store or over the phone. All you will need is a connection to the internet. Click for appointment or call us at 541-505-9301 for a phone demo.